Master of Public Policy (MPP) students will have the opportunity to declare a concentration in one of five policy areas starting in fall 2019. The concentrations are in areas in which the Ford School has a deep offering of coursework and faculty expertise, and will provide students access to those school strengths in a focused, intentional way. 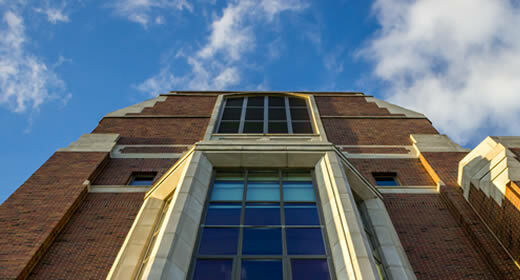 “These policy concentrations will create the opportunity for students with specific interests to further deepen their knowledge and skills so that they will be even better positioned for the types of careers and policy impact they envision,” said Paula Lantz, professor and associate dean of academic affairs at the Gerald R. Ford School of Public Policy. Earning one of these concentrations requires at least nine credits in the area of choice, with qualifying courses being offered both within and outside of the Ford School. The optional concentration will be included on a student’s transcripts, formally signifying the student has acquired depth and mastery in a defined area of study. The concentration in Public Policy Analysis Methods is structured to prepare students for rigorous policy analysis and research through a focus on applied methods and skills. Course options include Applied Econometrics, Economics of the Public Sector, and Fundamentals of Survey Methodology. The Public & Non-Profit Management concentration will prepare students with knowledge and skills related to the operation, management, leadership of public and non-profit organizations. Coursework to fulfil this concertation includes Innovation in Government, Negotiations, and Policy and Management in the Non-Profit Sector. The concentration in Social Policy will further develop policy analysis skills related to key areas of social policy. Example of courses for this concentration include Immigration Policy, Thinking about Crime, and Social Welfare Policy. The International Policy concentration will prepare students for policy analysis skills related to diplomacy, national security, and human rights. Coursework for this concentration includes International Politics of Poverty, Comparative Law and Policy, and Democracy & Globalization from Perspective of Global South. The concentration in International Economic Development will offer students a knowledge of and policy analysis skills related to economic and social development. Qualifying course examples include International Financial Policy, Economics and Social Policies in Emerging Market Economy, and Economics of Developing Countries. A faculty lead with expertise in the concentration area will provide guidance on their respective concentrations, including qualifying coursework and student advising. Learn more about the new concentrations.